The family of a motorcyclist who died when he crashed into a parked van have paid tribute to a "loving, caring son, brother, boyfriend and grandson". Michael Rice, 20, died at the scene of the crash in Fulford Road in the Hartcliffe area of Bristol on Friday 5 April. Mr Rice, from Knowle, "loved motocross from the age of three", his father Michael Painter said. 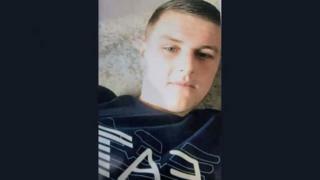 A 15-year-old boy has been charged with murder and will go on trial in October. Mr Painter said: "Mike's laugh was so contagious, you couldn't help but join in. "We have so many precious memories that will never fade and will love him always and forever." Detectives are continuing to appeal for witnesses or anyone with information about the crash to contact them.